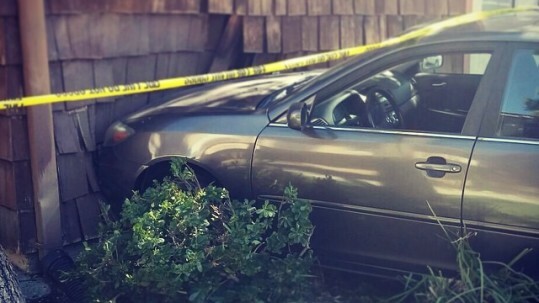 For 24/7 Towing & Roadside service Call 707.434.9560. 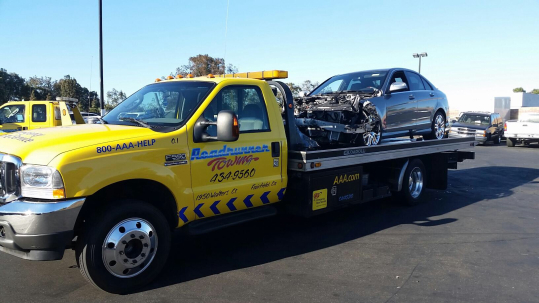 Roadrunner Tow is a tow company that does towing services in Fairfield, Vacaville, Suisun City & Solano County. Our Tow Trucks are AAA Certified for towing & Roadside assistance. 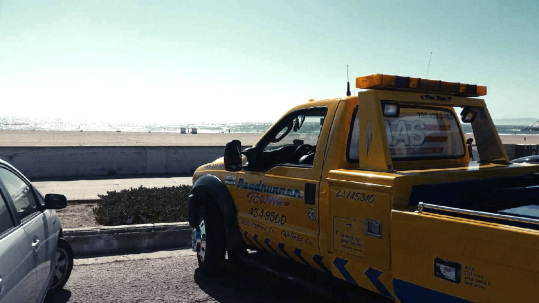 We offer towing and roadside service 24 hours a day, 7 days a week, 365 days a year. We can bring you the gasoline or diesel fuel you need to get you back on the road. All of our drivers can offer jumpstarts and we also provide a battery service if you need a new one installed. We can easily and safely change your flat tire and install your spare. We carefully open your car or truck without causing any damage to your vehicle or internal wiring. If your vehicle that is currently being stored with us, we can assist you in recovering it. Towing from Fairfield city limits to Vacaville city limits. After several years of hard work growing the business, Roadrunner was awarded the AAA contract in 1986. Since then, the company has grown and expanded to a fleet of 15 trucks and over 20 employees. 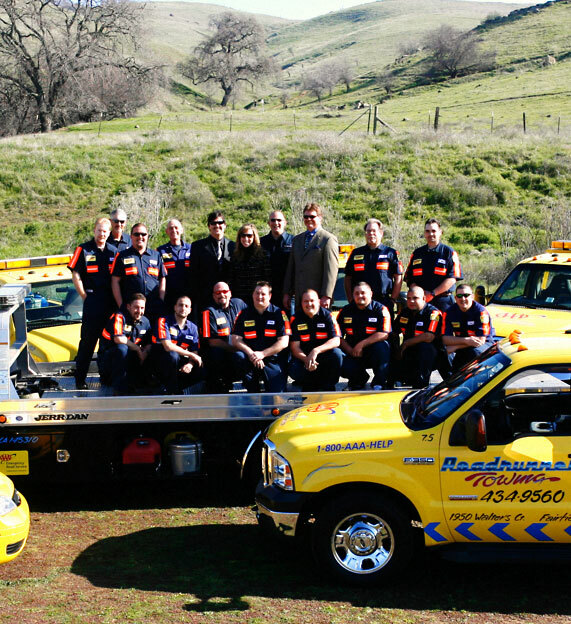 Roadrunner provides emergency road service 24 hours a day, 365 days a year to over 25,000 customers each year including the Fairfield, CA and Suisun City, CA police departments, CHP and Solano County Sheriff’s Department. In 2001, Roadrunner Tow was awarded the inaugural Freeway Service Patrol contract for Solano County. The white tow trucks of the Freeway Service Patrol provide free emergency road service to motorists along Interstate 80 from Fairfield to Davis during the morning and afternoon commutes. Motorists are provided with minor roadside repairs, given a gallon of gasoline or towed off of the freeway to a designated drop-site in order to ease traffic congestion and provide for the safety of the motoring public. The program is run by the California Highway Patrol, Cal Trans and the Metropolitan Transportation Committee. Currently, Roadrunner Tow’s fleet includes 10 Wheel Lift trucks, 3 Flatbeds and 2 Battery Service vehicles. All of our vehicles are equipped with FastTrack and we’ve traveled all over Northern California to help stranded motorists. I locked myself out of my car in front of the bank tonight. After waiting for another company to show up for an hour and a half, called Roadrunner. They were there within 8 minutes and were friendly, professional and efficient. I couldn't be happier. I won't ever call another company again, seriously. I have State Farm Ins. and they even billed my insurance for the charge so I didn't have to deal with that either. They really made a stressful situation melt away. On the way to Natomas this morning, I got a flat tire in Fairfield. After 10 minutes on the phone with AAA, Roadrunner Towing was on its way. AAA said that they'd be there within 20 minutes and they arrived till 25 minutes later. AAA and Roadrunner Towing got me back on the road ASAP. My car suffered a blown turbo from road track day in Thunderhill. Cameron came to the rescue within 40 mins of my call. Towed my car back to Fremont, CA 100 miles with no delay. He even went the extra mile and fetched me a dealership repair drop off form. If you have a bad day and need a tow service, this is the guy to go for. Have a non-emergency related question for us? Please send us a message using our contact form and we will get back to you as soon as possible. 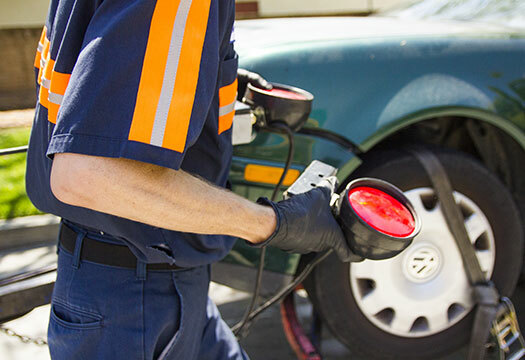 If you need roadside assistance than please call 707.434.9560. We are a 24 hour 7 days a week towing service so no matter what time, rain or shine we are here to help you with your auto troubles.